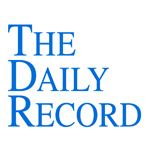 This week's Daily Record column is entitled "Practicing law: There's an iPhone app for that." In June, the latest iPhone, the 3GS, was released. The new features, including video capability, voice control, and increased speed make the iPhone all the more competitive with other smart phones. Third party applications have been available at Apple’s App Store for over a year now. 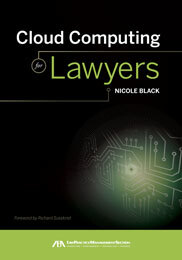 There are currently over 55,000 apps, a number of which are specifically tailored toward lawyers. Many of these apps consist of databases of federal and state laws, thus allowing lawyers to carry relevant laws and rules in their pockets in an easily accessible format. Procedure, Federal Rules of Appellate Procedure, Federal Rules of Bankruptcy Procedure, Federal Rules of Evidence and the U.S. Constitution. There are a number of legal database apps available to New York attorneys as well. For just $5 to $7 each, lawyers can purchase New York’s Penal Code, the CPLR, the Vehicle & Traffic Law, the Estates, Powers & Trusts Law and the Domestic Relations Law. Similar apps are also available for the following states: California, Ohio, Oregon, Texas, Michigan, Florida, Arizona and Washington. The entire U.S. Tax Code can be purchased for $14.99. The following useful apps are similarly available for federal criminal defense attorneys: The Federal Sentencing Guide and the FBI Handbook. Other federal law apps of interest are the U.S. Code and fed- eral patent, securities and copyright statutes, both of which can be purchased for $4 or less. There are a number of legal dictionaries available as well, including Black’s Law Dictionary for $49.99, the Essential Law Dictionary for $9.99 or Nolo’s Plain English Law Dictionary, which is free. The Legal News Reader app, which costs 99 cents, conve- niently aggregates all recent legal news in one place, for those not interested in taking the time to do so themselves. Finally, there are a number of iPhone apps that are not targeted specifically toward lawyers that I have found to be indispensable. First, there is the free Conference Call app, which allows you to schedule outbound conference calls using your iPhone. DocScanner, available for $9.99, is another great app for lawyers. With this app you can scan a document to your iPhone by taking a photo of it. It is then converted to a .pdf file that can either be e-mailed or saved to your phone. Since lawyers are constantly calculating filing and due dates, DateCalcPro and DaysFrom are two very useful apps. DateCalcPro costs $1.99 and allows you to calculate the time between two dates. DaysFrom costs 99 cents and enables you to calculate a date for a number of days in the future or past. 9- Toolbox, discussed below, also includes two date calculators and is free. If you travel frequently, Kayak, FlightTrack, and AroundMe are must haves. Kayak, a free app, simultaneously searches multiple travel sites for the cheapest hotel rates and airfare. FlightTrack, which costs $4.99, provides real-time status for flights. Finally, AroundMe, a free app, provides you with stores, restaurants and other businesses in your immediate area. Last, but not least —a number of assorted apps of interest. First, AT&T GPS Navigator. The app is free, but the service costs $9.99 per month. This is an amazingly accurate GPS system that provides you with spoken turn-by-turn directions and, like most GPS devices, re-routes if you miss a turn. Amazon Kindle is a great, free app for long, unexpected delays in court. You can download books, some for free, directly to your iPhone and peruse them in an easy-to-read format at your leisure. 9-Toolbox, a free app, offers nine useful tools, including two-date calculators, a tip calculator, a currency converter and a unit converter. Finally, Bump is a free app that enables iPhone users who have downloaded the app to exchange contact information by simply opening the app and “bumping” hands. Voilà, contact information is exchanged instantaneously. Bottom line — if you don’t already own an iPhone — now is the time to buy one. The apps alone will make the purchase well worth your while. You’ll increase efficiency, thus saving time and money. Check out our Texas Child Support Calculator for the iPhone. Great article Nicole. Lately, I see a lot more attorneys switching over from Blackberries to the iPhone. If you get the chance, take a look at my two new iPhone applications that, unfortunately, were released after your article came out. "Court Days" is a legal date calculator that calculates multiple court and calendar days, taking into consideration court holidays in over 60 jurisdictions. "myMCLE" is a tool for tracking continuing legal education credits. It was released last Saturday for California and you should be seeing Texas, New York, and Louisiana next week. The is more information at www.lawonmyphone.com. Jeez, as if we don't have enough laws already, along comes a column about how Apple's iPhone can make sense of them all. We truly are a politicizied nation; we can take any problem from the personal sphere and project it into the political. Here's a take on the iPhone app craze: "Got a problem? There's a law for that!"